Elyse D. Pham ’22, a Crimson Editorial comper, lives in Canaday Hall. 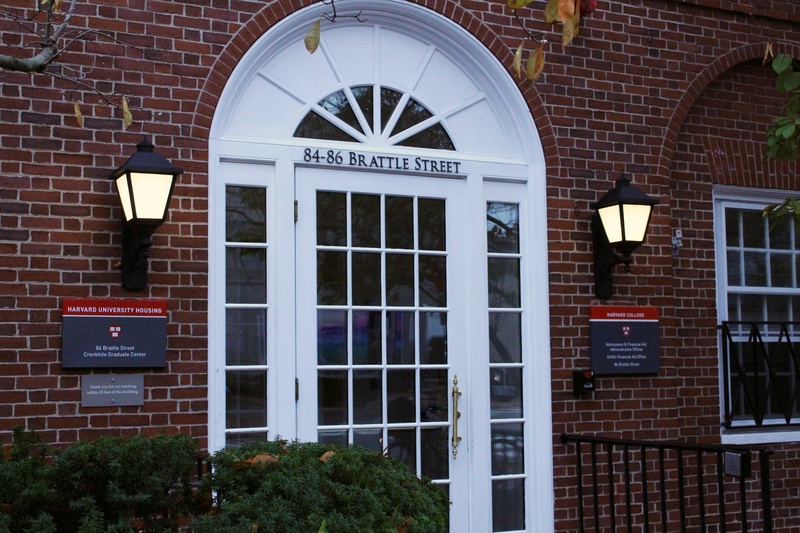 Harvard’s Office of Admissions and Financial Aid lies on Brattle Street. I heard the sentiment of this impassioned exclamation all too frequently in the months following my acceptance. Everyone guilty of saying it meant well. They probably even believed that the last bit — the one that never failed to provoke an internal grimace — strengthened the compliment, elevating the gravity of my achievement. Of course, I’d happily accept the praise if the sentiments fueling it didn’t have the potential to harm other equally-deserving Harvard hopefuls. Unfortunately, that potential remains strong, more so now than ever. During this important political moment, I implore, from one Asian-American to another: Back off of affirmative action. Race-based admissions policies have sparked conflict for as long as they’ve existed, but the controversy surrounding Harvard has recently thrust them back into the spotlight. In 2014, Students for Fair Admissions filed a closely-watched lawsuit accusing Harvard of discrimination against Asian-American applicants. The case, which cites practices such as the newly-discovered use of “personal” ratings as an admissions factor, has just been given the go-ahead to proceed to trial. As an Asian-American who recently completed the college applications process, I’m tempted to join the angry throngs of my fellow peers, calling for an end to a system that we believe is rigged against us. After all, the case — at least on a surface level — appears perfectly reasonable, even deserving of serious consideration: Indisputable data shows that Asian-Americans were consistently rated lower than other students when it came to “positive personality” traits, and far fewer of them are admitted than would be if academics were the sole criteria. However, despite the movement’s emotional appeal and personal significance, we need to look past our own myopic perspectives and withdraw our collective support. The sinister truth is that while the lawsuit in question only targets Harvard explicitly, its controversial nature and past behavior of its litigator means it’s likely to be appealed all the way to the Supreme Court. There, the conservative majority would likely dismantle the architecture of race-conscious admissions policies — something that any diversity- and equality-valuing community should defend at all costs. In fact, destroying affirmative action writ-large has long been the end goal of Edward Blum, who leads Students for Fair Admissions. This white conservative activist is spearheading the lawsuit against Harvard — a fact that on its own should generate skepticism towards its merits, especially in an audience of color like ours. Blum’s logic was wrong when arguing a similar case in Fisher v. University of Texas, and it’s wrong here, too. The allegation of “racial balancing,” or rejecting more qualified Asian-American applicants in favor of less qualified black or Latinx ones, can only be compelling to someone with a naively idealistic conception of the school system, and of equal opportunity in America more generally. While a complete meritocracy sounds like a good idea, it necessitates the equality of all other factors, especially resources. This couldn’t be further from the truth — a study of the 2011-2012 school year found that while 81 percent of Asian-American students had access to college-preparatory math and science courses, only 57 percent of black students enjoyed the same privileges. Such disparities exist throughout the educational sphere, problematizing the very idea of a world without racial considerations. If college admissions were based on merit alone, black students would have a disproportionately mammoth task ahead of them: not only ensuring that they meet Harvard’s standards, but overcoming unfair resource distribution to do so. That would undoubtedly cause their level of representation to plummet at elite universities, recalling an era of near-segregation as prestige becomes an excuse for racism. A common source of confusion for Asian-Americans — at least many within my own community — is that we’re also people of color and have our fair share of negative experience stemming from that identity. Therefore, our logic goes, affirmative action should intuitively benefit us, too. However, it’s important to recognize the complicated intersections of privilege and oppression: They aren’t mutually exclusive. While the model minority myth does generate plenty of negative stereotypes and place an undue burden on Asian-Americans, it also provides us with a sense of legitimacy in society that isn’t often afforded to other minorities. The structures of white supremacy view us as smart and hardworking, a perception that harms us in some ways, but translates into material benefits when it comes to employment and education. For example, the unemployment rate for Asian Americans is over 30 percent lower than that of the black community. Moreover, Asian-Americans’ median household income is 39 percent higher than the national average. This isn’t to paper over the trials of the Asian-American experience. The “personal” rating factor definitely raises some questions about how the model minority myth can work to our disadvantage. Obviously, judging the personality of applicants is an intrinsically subjective — and therefore, inevitably flawed — practice. Given its adverse effects on Asian-Americans, it’s important for admissions officers to confront their subconscious biases: We can be smart and we can be hardworking, but we shouldn’t be reduced to those traits. However, recognizing that racism can affect how Asian Americans are perceived in college admissions cannot, and should not, be a referendum on the entire structure of race-based admissions policies. The overwhelming tendency to conflate the two simply feeds white supremacy by dividing people of color. I know as well as anyone how draining the college admissions process is. The sting of rejection makes it tempting to find a scapegoat, and affirmative action presents itself as the obvious choice. But we, as a people that both enjoy privilege and lack it, have a responsibility to ourselves and other communities of color. Affirmative action needs our support. It’s time that we give it.